Mentorship is typically thought of as a one-way street; knowledge flows from the mentor to the mentee. Yet mentorship should encapsulate so much more. It’s imperative that we alter our mindsets to view mentorship as a bi-directional relationship; mentorship is the ability for two people to learn and grow towards a common goal. 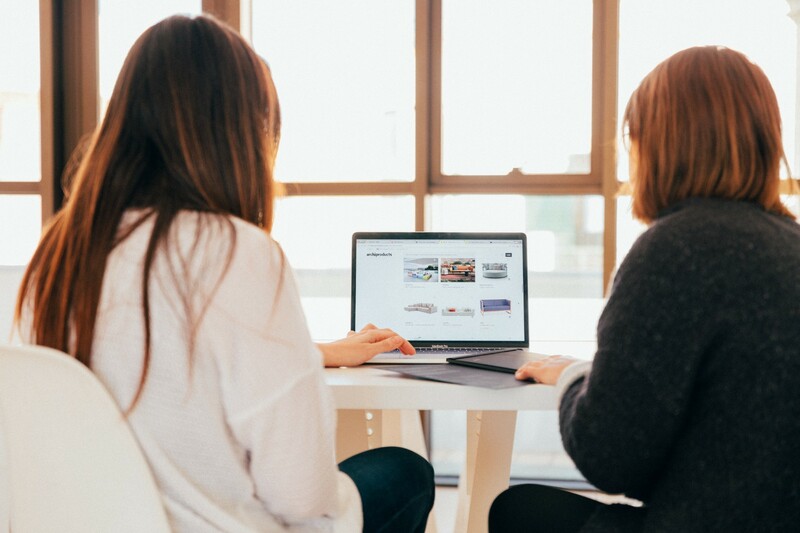 Although mentorship can play a pivotal role in the success of a developer’s career, there is a severe mentorship deficit within the technical industry. This can be mostly attributed to developers not knowing who to ask or where to start. We must streamline the process of finding a mentor in the technical industry in order to promote growth through a developer’s career. Responses were gathered from a random selection of 118 people on Twitter. We often feel that by setting finite goals, we’ll achieve a sense of pride and happiness upon achieving said goal. In reality, having a finite goal can lead to a sense of un-fulfillment as we’ve capped the level of greatness we’re willing to achieve. Instead you should set open-ended goals with milestones. As we can see, goal 2 is open-ended, which allows us to maintain this progress long-term. It’s important to track your progress towards a specific goal so both you and your mentor can evaluate the success of your mentorship. You can track your progress with a word document, a burn down chart, or any other method of growth tracking. This will also help to encourage you as you hit plateaus along your learning journey. It’s important to arrive at your mentorship meetings with a clear agenda. What do you hope to accomplish during your session? What areas are you struggling with? Ensure, as the mentee, that you’re prepared to drive your mentorship meetings. How did you get to your current role? What did your career path look like? Do you have any advice for a novice in the industry? What do you wish you had known going into this field? What areas should I focus on if I want to achieve the role of X? The best technical mentorships focus around the “doing.” In my experience, if you want to learn a technology the best way to do so is through coding. Choose a technology you want to improve upon (i.e. React, GraphQL, etc.). Come up with a side project which could be built with this technology (i.e. recipe book, q&a forum, etc.). Set clear development goals for each meeting (ie. I want to have the user account developed by the next meeting). Review the code with your mentor and walk through your process. What could be improved? Why might a different approach have been more effective? Personal mentorships are focused around you as a person. What characteristics would you like to alter about yourself? 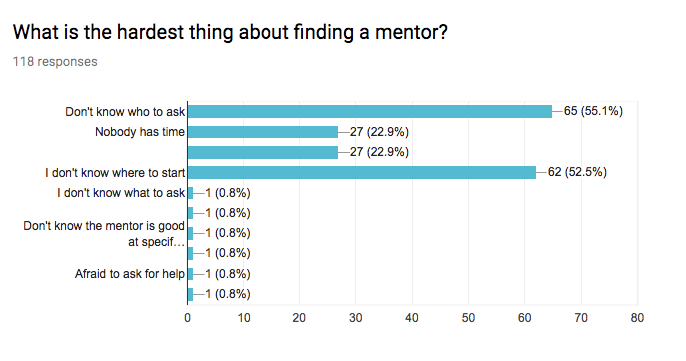 Perhaps you need mentorship around time management. Or maybe you want to grow your ability to achieve a strong work-life balance. How do you disconnect and relax from work at night? What tips do you have for boosting productivity? The frequency with which your mentor meetings should take place will vary with each mentorship. Some mentorships will meet monthly, others will meet ad-hoc. It’s important to examine your goals and determine which frequency is right for you. I found technical mentorship meetings to be effective every two weeks. 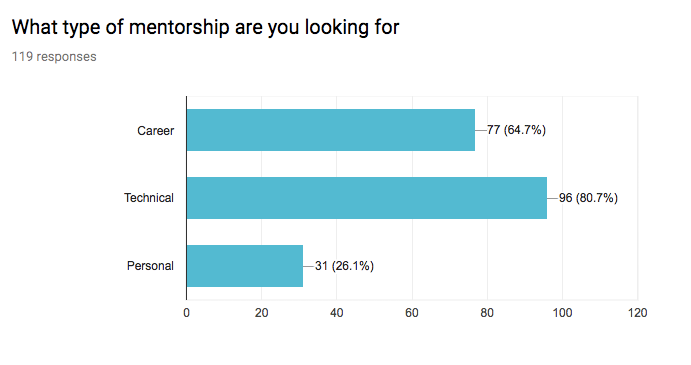 In contrast, I found the career-based mentorships to be most effective ad-hoc since I didn’t have a multitude of questions that popped up every week. Be open with your mentor/mentee about the frequency which is most appropriate for your type of mentorship. But for many developers, access to a quality mentor is not as simple as walking down the hall. This is a huge issue in the tech industry that we are trying to solve with Coding Coach. I created an open-source project aimed at connecting mentors and mentees from all over the world. Although there are existing platforms, they often cost a bit of money and as a result aren’t accessible to all. Feel free to check out Coding Coach’s initiative on Medium or Twitter. 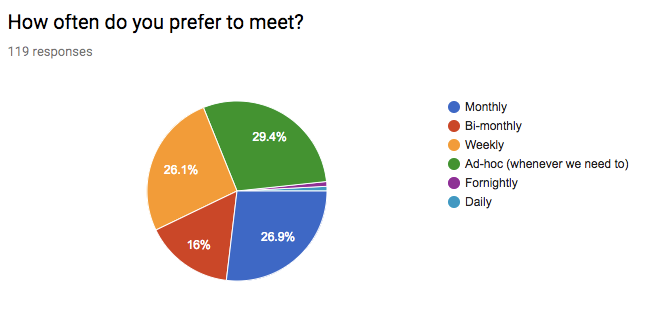 What Is The Best Platform For Mentor Meetings? The best platform to have your mentorship meetings will, again, vary by circumstance. Mentorship is something which will grow your career and development skills beyond your imagination. Yet many people have trouble finding and establishing effective mentorships. My hope is that you can take the suggestions in this article and apply them to your career. Don’t get discouraged if someone rejects your mentorship invitation. This will happen, but it’s not the end of the world. You will find the right mentor when the time is right. If you’d like to get involved in the Coding Coach initiative, feel free to join the Slack organization.